The drive to explore makes us human. We have an instinct to be curious. This leads to learning. So next time on a trek try to work on these simple points. Before you go on a trek,you should know the trail on the map. Try to know all the mountain ranges and valleys you will be walking through. Find the names of the valleys that are beyond the ranges you can see. You might venture to the other side of the valley someday.Once on the trekking trail , try to identify the features you had seen on the map. First thing in the morning, watch the sunrise. You know the East now. As you face the sun , your back points towards the West. Your right hand points towards the South, and your left hand towards the North. You can use a compass. When you reach your destination, note the direction of various features, like a particular peak is towards the north east. or a mountain pass is towards the west. This can be used for future reference. 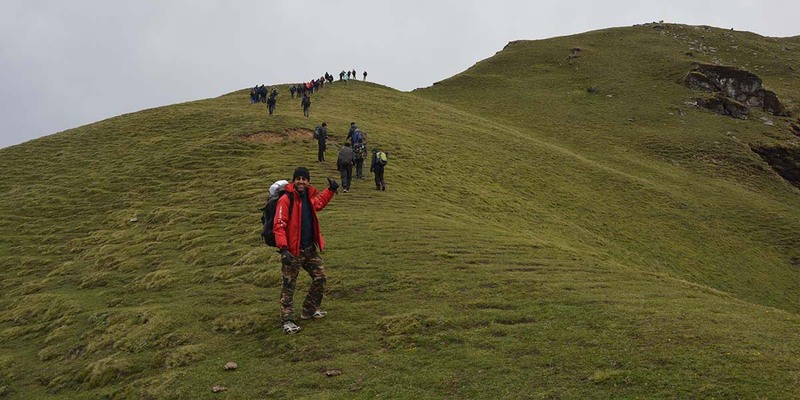 Whenever you walk on trek route, try to be in visible reach of your trek leader. Some times a situation might occur that you may be left alone and you have to find the route for your self. The most feasible solution is look for fresh footmarks. There can also be cairn markings ,you could follow them. Cairns are stones pilled on top of each other , at intervals to mark a route. Its advisable to make cairns ,once you want to explore around your camp. 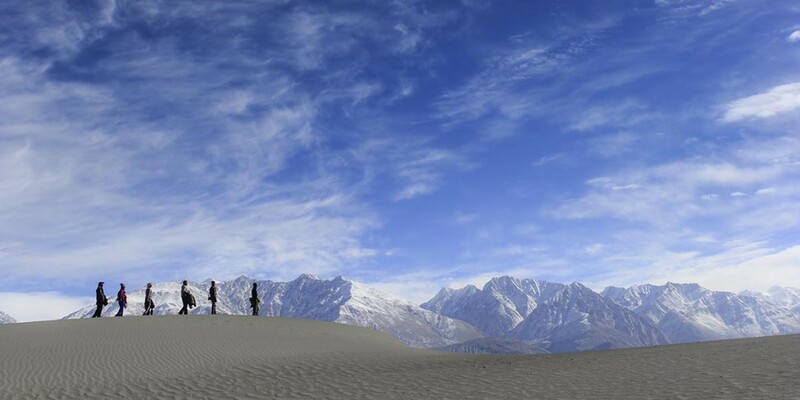 The serene beauty of the mountains can be enjoyed in quietness. While walking, or when in a camp try to feel the calmness around. You can hear the sounds of birds around, try to identify the bird by the sound, and if you know share it with others. Try to identify bird species. There are many ways by which you can mark the changes in the weather pattern. At high altitudes mostly the weather worsens during the latter half of the day, so you have to plan your day early. You can predict the next day weather by looking at the night sky, or a cloud cap around a peak. Ask your trek leader how to judge weather on the mountain. Watch the flora and fauna. When you ascend up a mountain trail, the pattern of the forests keeps varying. Just keep a note of all the tree types you keep crossing. Note the changing pattern as you gain elevation. You will come to a altitude when the tree line ends and only grass grows . You will reach an elevation where even grass cant grow. You can judge the age of a tree by the width of its girth. There are various exotic varieties in various regions, ask your trek leader about them. 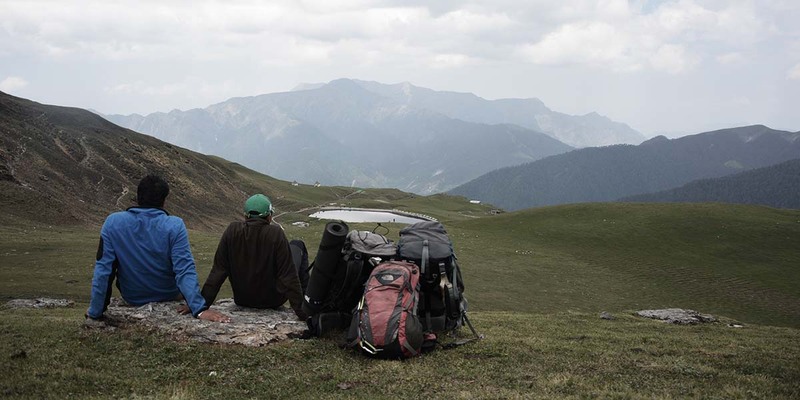 All this can be very interesting, and will keep you yearning for more knowledge during the trek. You can even carry seeds or a nursery plant and plant it while on the trek. This will be the best gift you can give to the mountains. Life is journey about self discovery. When you are out on a trek, you learn so many things about yourself. You understand your strength and weakness. Self discovery is about knowing things about yourself ,that you did not know, like you can walk for so long distances,climb upto such elevation, survive in such cold weather, etc. Go back being much stronger mentally and physically. Explicit views and breathtaking sunsets.When you are out on the trek, you are certain to encounter places that are super beautiful. Just try to get off the auto mode to get the exact colours you want in your photographs. The computer automatically comes up with coordinates that may take away the natural vivid colours of the landscape. Get into the manual mode , and get the picture of your life. While on the trail, whenever you meet local people , give them respect, and alway wish them . Try to learn the local dialect, at least a few words. Whenever you get a chance ,try to interact with them. Locals are the best source of information you can get whenever you plan a trek or a expedition. Keep the mountains clean. Make a pocket in your bag a wrapper collection centre. Never throw garbage any where during the trek. If you find anyone littering around ,try to make him understand his mistake, and guide him how to dispose off the waste. Make lot of friends , smile a lot, enjoy every moment, make a paper boat and float it in a stream. dance under waterfalls, make ripples in a pond with stones and just enjoy your life. Thats the simple reason you are on a trek. worth noting everything u wrote.! Thank you so much Swadin.